Samsung Galaxy S3 Manual User Guide for Samsung Galaxy S3 Owners. Include Picture and Latest Firmware Update for Galaxy S3 GT-i9300. Samsung Galaxy S3 using Android operating system. Its TouchWiz “Nature UX” graphical user interface (GUI) which is influenced by the “organic” customer trend is more interactive than Samsung’s previous GUIs, with the notable addition of the “Water Lux” effect, which produces ripples upon contact. To complement the TouchWiz interface, and as a response to Apple’s Siri, the phone introduces S Voice, Samsung’s intelligent personal assistant. S Voice can recognize eight languages including English, Korean and French. Based on Vlingo, S Voice enables the user to verbally control 20 functions such as playing a song, setting the alarm, or activating driving mode; it relies on Wolfram Alpha for online searches. The Samsung Galaxy S3 comes with Android version 4.0.4, officially named “Ice Cream Sandwich”. Ice Cream Sandwich has a refined user interface, expanded camera capabilities, security features and connectivity. In mid-June 2012, Android 4.1 “Jelly Bean” unveiled, which employs a voice-assistant similar to S Voice, and incorporates other software changes. Samsung accommodated Jelly Bean in the S3 by making last-minute hardware changes to the phone in some markets. Jelly Bean updates began rolling out to S3’s in selected European countries, and to the T-Mobile in the United States in November. On October 17, Samsung announced, that US Samsung Galaxy S3 will be updated to Android 4.1 Jelly Bean. The Galaxy S3 is also compatible with CyanogenMod 10, a custom firmware that implements the characteristics of Jelly Bean. The current version of the Samsung S3 has a compatibility issue with Microsoft Office365 ActiveSync. 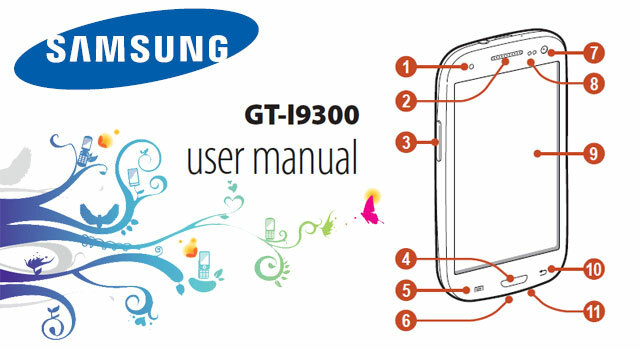 Here is Samsung Galaxy S3 manual user guide.